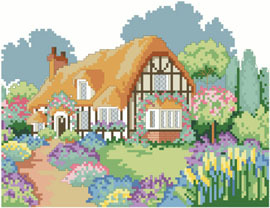 English country gardens and cottages are legendary. This one is no exception. The flowers are blooming and an invitation to an afternoon tea is waiting inside. Come in and have a cup or two.